Lucy Watson will be hosting Bark in the Park Singles Event this Saturday 05/04/14 in conjunction. On Saturday Match.com are hosting Bark in the Park and Lucy is attending with her German Spitz, Digby. Although the event is aimed at single dog owners they are welcoming anyone looking for love to come along. It is being held at Battersea Park and marks the launch of Match’s new interest based socials. As this is being run alongside Dogs Trust, they are asking for a £5 donation to the charity. You can sign up at match.com/events. match.com socials: is a new event programme which aims to bring like-minded people together through fun activities based on their shared interests. match.com socials will invite singles in cities across the UK to meet fellow members by participating in a wide range of activities. These include everything from cookery and photography classes to VIP cinema experiences and medieval banquets. 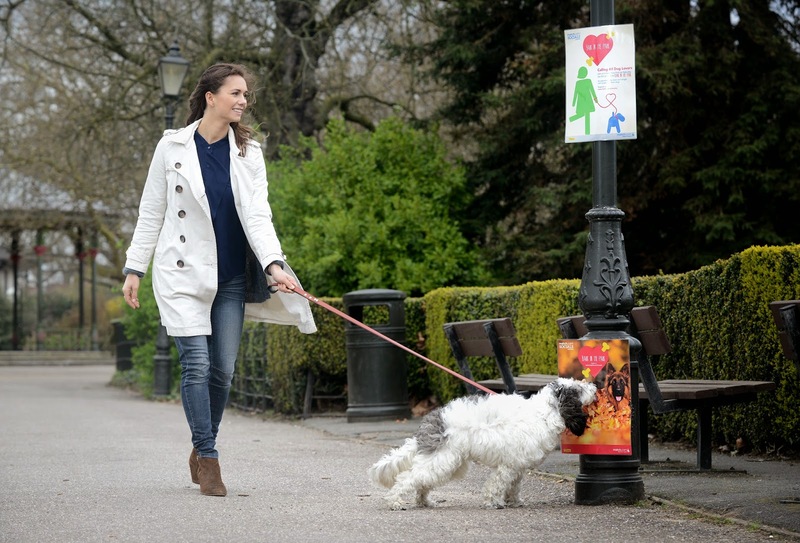 To launch the service, they are holding a one-off event in Battersea Park on Saturday 5th April for single dog owners (and their canine companions) to come and meet like-minded members. ‘Bark in the Park will give match.com members the chance to enjoy an afternoon of socialising and complimentary refreshments, while their dogs get involved with activity sessions and a pooch soft play area. They know that many singles are barking mad about their four-legged friends, so if you’re a single dog-lover looking for your next best friend, why not take the lead and join us on the day. The event is taking place at Battersea Park bandstand from 12.30pm – 3.00pm. If you’d like to join in the fun, you can either register atwww.match.com/events or email your details to BITP@eu.match.com. Attendance costs £5, but all of this money will go to a good cause, as we will pass it all on to our partner, Dogs Trust, the largest dog welfare charity in the UK. Dogs must be kept on leads at all times and owners shall be solely responsible and liable for their dog throughout the event. Match.com shall not be held liable, accountable and/or responsible for any actions, conduct and/or omissions of any dogs, their owners and/or any other third parties in connection with the event.